Big news, The Elder Scrolls will be released in early 2019 according to what Bethesda has announced recently on Twitter. Because the performance of Bethesda's Fallout 76 did not reach to the expectation. It's probably not in the best interest of the company to publish a free-to-play game that takes advantage of the fan-favorite Elder Scrolls license. This may the most reasonable explanation to this unexpected delay. As we all know, that The Elder Scrolls: Blades is a mobile free-to-play title, and in the current situation, Bethesda has not made any official announcements to explain why this game has been delayed, nor did it share any further details on the game's new release window, but according to what Bethesda says, the players are still able to pre-register for The Elder Scrolls Blades on its website. By doing this, it will allow you to access this game as early as possible ahead of its launch. Even though we still do not know when this early access time will start. The Elder Scrolls: Blades was announced during Bethesda’s Electronic Entertainment Exposition 2018 press conference in June. It is billed as a "pure Elder Scrolls game" and meanwhile, it also has "console-quality graphics." This console unlike the recent console installments such as Skyrim. In this game, it does not feature an open world, even though according to what Bethesda says one could be added down the line. In this game, blades will be free to download and will feature both hand-crafted and procedurally generated dungeons, leveling and character customization. Its main mode, Town, will have players taking on quests and rebuilding a city. It also includes a rougelike mode called Abyss and a PvP mode called Arena. And of course, the coins, as the currency of the Elder Scrolls Online series, collecting elder scrolls gold, is necessary, no one has any problem with that, right? 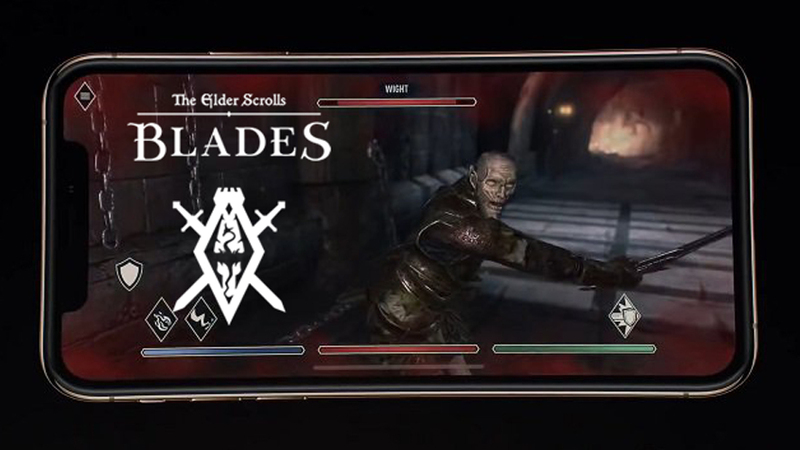 One point to know, that The Elder Scrolls: Blades was also one of the games shown during Apple's 2018 keynote address back in September 2018. During this presentation, Todd Howard, director and executive producer in Bethesda Game Studios (BGS), took the stage and to show how the game will run on the new iPhone XS. Howard also stated the advantages the XS's OLED screen and other hardware improvements offer. Blades will be free to download and play when it launches for iOS and Android. We also know that this game is not the only Elder Scrolls project Bethesda is currently working on; Bethesda also announced the next proper installment in the series, The Elder Scrolls VI, it is still in development. Even though that probably will not launch until the next generation of consoles come out.